There is a spot for every type of personality. Every single one. There’s a spot for you. (Do you love Big Bang Theory? You know, Sheldon has a spot.) Whether you feel like you have a “spot” or a purpose … you do. 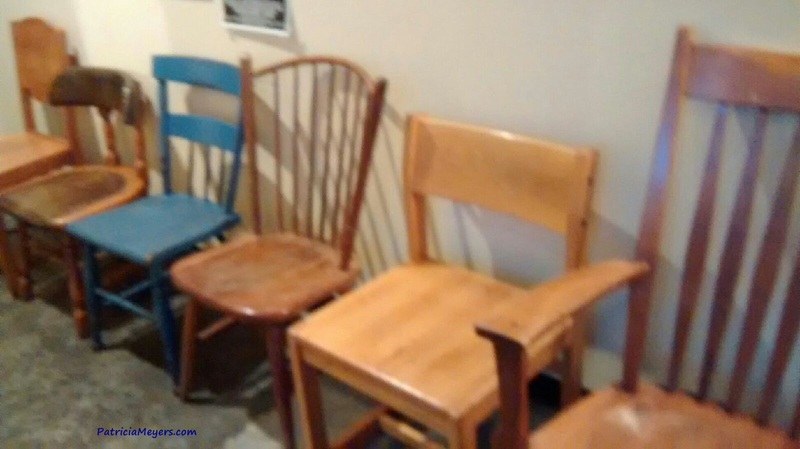 Do you, at times, feel like you are sitting in someone else’s chair? Perhaps you don’t think you are entitled to sit in the cool chair you have been given. But you are. Why not you? That chair can be for you! One way to make your life easier is to stop trying to fit into someone else’s chair. And don’t make someone fit a seat that you choose for them instead of allowing them to sit in the seat they were made to sit in. If you aren’t sure of your spot, start by believing there is a spot that is just for you. Because there is. Believe it! Recently, I came across an article by a personal trainer about attacking your weakness. He was talking about focusing on an area of your body that is your weakest area. If your belly is your biggest problem, focus on ab exercises; if your legs are scrawny, do squats until you are blue in the face; you get the idea. Then I found a second article that talked about focusing on your eating before focusing on exercise because most people are so weak and lacking self-control regarding their diet that until that is strengthened, the rest is moot. Two different guys: same theme. If you are going to do … anything … do it great! Work at it with all your heart. Do nothing half-hearted.